Email marketing can have an ROI as high as 4,300% which makes it a really cost-effective way of communicating with leads, prospects and customers. It fits perfectly into the new way that buyers research and look for solutions and products online which is why it plays such a key role in inbound marketing. Apart from being cost-effective and aligning to today's process, email marketing results can be easily measured allowing marketers to quickly review and optimise campaigns. The first step to successful email marketing is understanding your buyers journey and what your buyers need in the lead up to making a purchase. It's a highly effective way of distributing your content to existing contacts but you need to make sure that after distribution that you analyse performance and optimise your emails for your next campaign so that you can improve the results and ROI over time. By analysing your email marketing metrics, you can learn more about what your audience needs and fine tune your content and communications. This is the simplest of the email marketing metrics and is self explanatory. It's the first metric you should be tracking. When you set up an email campaign don't expect every recipient to open the email because they won't, but you need to make sure your email open rates are good. 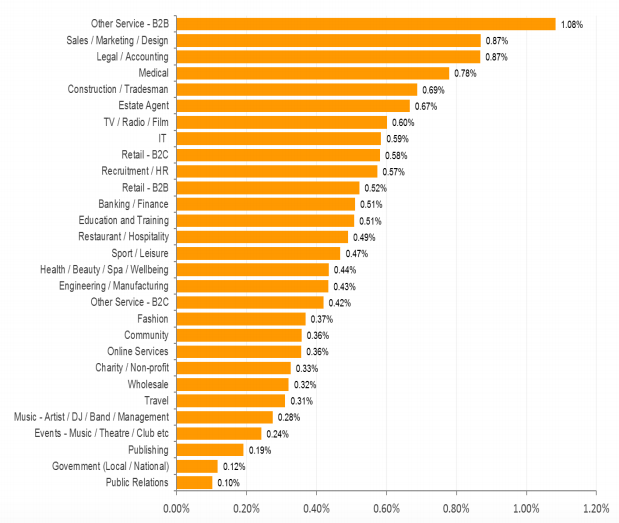 According to HubSpot's 2017 Demand Generation Marketing Survey, the mean average open rate is about 17% depending on industry etc. and over 50% of marketers see open rates below 20% on average. The surprising thing about HubSpot's survey was that larger organisations were less aware of their open rates with 20% who did not know at all what the rates were. Unless you start reviewing and acting upon your metrics you won't be able to measure performance to ensure you are getting the return on your investment. You also won't have solid data which you can use to optimise your campaigns over time to get the most out of them. If you’re open rates are lower than average, you need to take a look at why. What makes someone open an email? Subject line and preview text would be the first thing to check. Look at testing variations but change only one thing at a time, test, analyse the results, optimise, repeat. Check out our recent post 8 Best Practices For Writing B2B Marketing Emails if you need some tips on how to improve your emails. The CTR is better than open rates for gauging how recipients are interacting and engaging with the email content you are sending. It will help you gain an understanding of the types of content they find the most valuable. According to HubSpot's 2017 Demand Generation Marketing Survey, click through rates on emails are only about 4%. A surprising 16% of marketers didn't even know the click through rate performance of their emails. Again, if you don't measure, how can you optimise to improve results? If you’re click through rates are low then look at things like your buyer personas. Are you targeting the right people with the content they actually need? Is the call to action appropriate and well designed? etc. Another quick way of improving click through rates is to make sure your emails are responsive. Check that nothing is getting cut off, fonts are large enough and that buttons/links are also large and easy to click on a mobile device. As we mentioned above, click-through rate only gives you information about how many people clicked on any link within your email. What you want to understand next is what links are getting the most clicks. This one is important to track so that you can figure out specifically what content is resonating with your audience the best. So for example if you send a nurturing email with links to 3 blog posts you can review which posts were the most popular. Make sure you use this information when planning future campaigns. A well planned marketing email should include a compelling Call To Action (CTA). Your CTA could be to download an eBook or subscribe to a webinar etc. When it comes to marketing, we say that we ‘convert’ a visitor or recipient each time we succeed in getting them to take an action that achieves the goal we set out. Your conversion rate tracks the percentage of people that you’ve managed to convert. This is obviously going to be one of your most important metrics to track as every email will have a goal and an associated action that you are trying to get someone to take. Each time you succeed in converting a new recipient, you’re one sale or visit closer to success (depending on what your goals are). If you are using good marketing automation software you should be able to easily track this metric. Bounce rate is the percentage of emails that could not be delivered and were bounced (sent) back to your Email Provider. There are two kinds of bounces that you need to be monitoring. Hard Bounces: These are emails that are undeliverable and permanently rejected due to an invalid email address or because the recipient’s email server has blocked yours. Soft Bounces: These are emails that are temporarily rejected because the recipient’s inbox is full,the email exceeds the size limit set by the recipient or Email Service Provider. or the mail server isn’t working. You need to look at your hard bounces and remove these email addresses from your subscriber list. If you don't, you risk damaging your sender reputation as your email might be triggering spam filters. In some cases you can resolve hard bounces by talking to the company in question and asking them to allow your emails through. An unsubscriber or lost contact is someone who unsubscribes from your email list. I’m sure you’ve subscribed to many blogs or lists yourself and then realised that the content isn’t relevant for you or maybe they are just sending far too many emails. Its hard to tell why people unsubscribe but it’s a metric that you need to keep track of and keep as low as possible. If it is high then you need to review your content, quality, email frequency etc. Even looking at some of the profiles of unsubscribers can provide insights. This is a metric that you least want to see activity on. If you are reported for sending spam too many times there is likely to be action against the account sending the emails. So keep your quality high and don't sent too many emails or else give the option of daily, weekly or monthly emails when someone subscribes. Your goal should be to keep your complaint rate no higher than 0.1%. The forwarding rate is the percentage if your total subscribers who forwarded on your email. They are also known as referral rates. The forwarding rate is a very interesting metric as when someone shares your content it generally means that its relevant and high quality. Include social sharing at the end of emails so that it's easy for people to share your content whether its via email or sharing via social media. Email forwards don’t take into account users who manually copy and paste links to your email content within emails of their own. It also doesn't include recipients who use the forward button within their email application. So while this metric is useful it doesn't provide the full picture. Most marketers are highly dependent on email for communication but over 80% of email communications aren't making an impact for most companies. If you don't focus on increasing email performance alongside other channels like social media then you stand to lose out on a lot of business. Optimize for the metric that indicates the most business value for your organisation. Depending on what your goals are this may be conversion rate, revenue per visitor etc. For example if you improve CTR but decrease revenue then you haven't achieved anything. If revenue doesn't change, but the CTR increases that generally indicates that you are going in the right direction but still have work to do. Now that you know 9 of the essential email marketing metrics you need to track you need to review these at least once a month rather than putting it on the long finger as even minor changes can have a big impact and use these metrics to make sure you are achieving your goals and constantly improving. 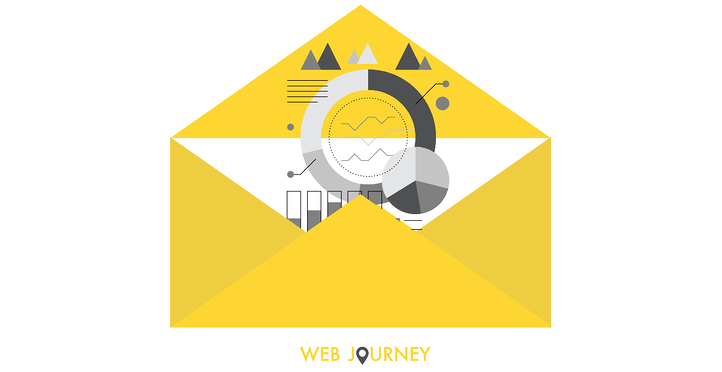 If you would like to discuss these email metrics or need any advice on your email marketing, feel free to contact me at sinead@webjourney.ie. 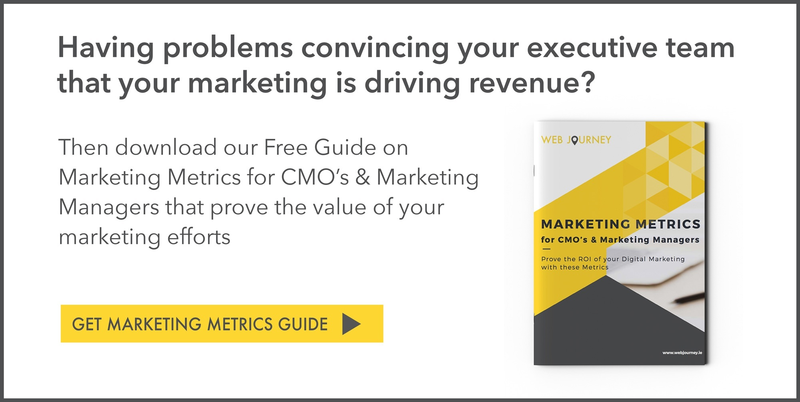 If you need help defining your overall marketing goals then download our template below which will help you calculate measurable goals based on current metrics.